Alton Tower is Approx 50 min drive from here at Alkington Grange Barns and a prefect day trip for large and small children alike! The park confirmed that the new ride’s name as Wicker Man on Monday, and describes it as the world’s first “fusing fire and wood”. John Wardley, the man behind some of Alton Towers’ most famous rides, has said he is “thrilled” the park is finally getting a wooden rollercoaster. Wardley, who is now a semi-retired consultant, said that he had been trying to convince the park’s owners to build a wooden ride for some time. 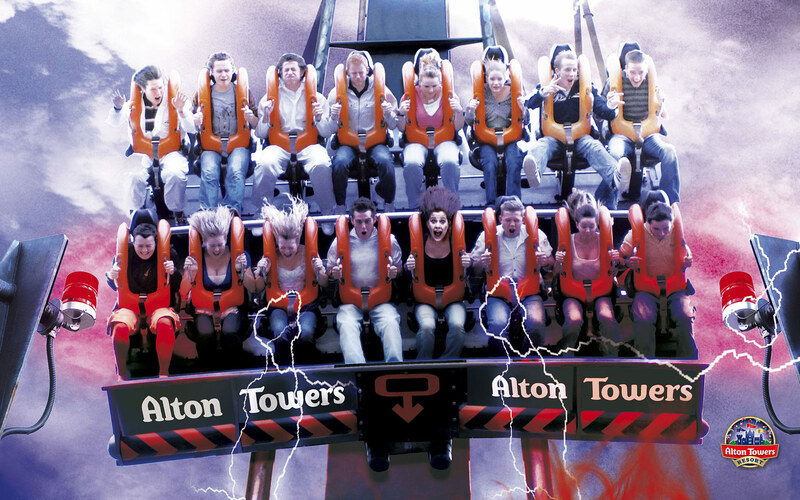 “I’m thrilled that Alton Towers is about to get a wooden rollercoaster, and I’m sure the Wicker Man will be a great ride,” he told Ride Rater. Despite Wardley moving away from the forefront of Alton Towers’ new rides in recent years, he has remained an advisor to Merlin. He has had significant input into the Wicker Man six months into the Great Coasters International (GCI) ride’s design. “I was very impressed with the basic layout, the choice of manufacturer, and the theming concept,” Wardley said. “I did have some reservations about the profile of the ride, and in particular the first two drops, which lacked major thrill. Wardley said it was too late into the project to make any further alterations to the ride’s layout, but praised the Merlin team’s efforts. “The team has done a great job, and I look forward to riding it in the very near future.